Note: As a Certified Imago Therapist Laura is specialized in helping couples effectively restore intimacy and connection in their relationship. Couples are guided to more effectively listen to their partner and gain a deeper understanding of the source of their conflicts. Laura's primary focus is on maximizing the love and support in relationships. 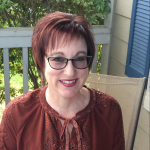 Because she has twenty-five years of clinical experience as a therapist she brings a unique blend of expertise to the therapeutic relationship. Below is a list of expertise she has developed over the course of her career.